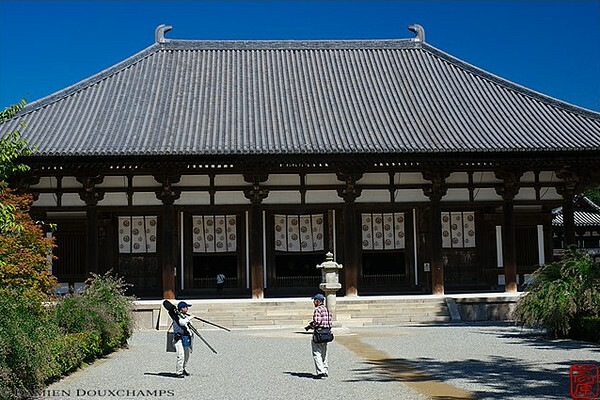 Nara is second only to Kyoto as the richest collection of traditional sites in Japan. Nara is home to some of the country’s best temples and shrines, along with several fine gardens, museums and traditional neighborhoods. 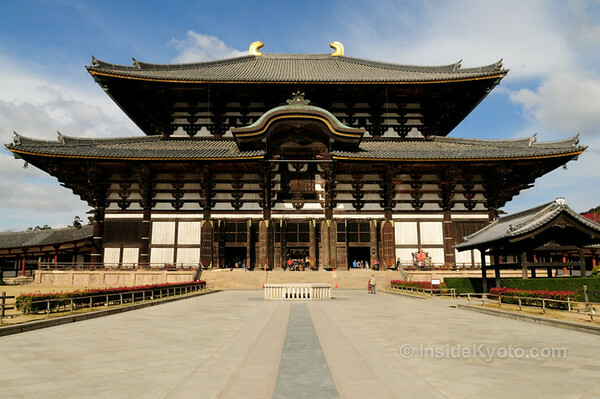 Nara is a compact city packed with first-rate sights, including the famous Daibutsu (Great Buddha) at Todai-ji Temple, Kasuga-Taisha Shrine and Nara-koen Park, with its famous semi-wild deer. In this section, I’ll introduce the most important sights in Nara, starting with my three picks for must-see attractions. Add a few places to this must-see list and you’ve got yourself a great day in Nara. 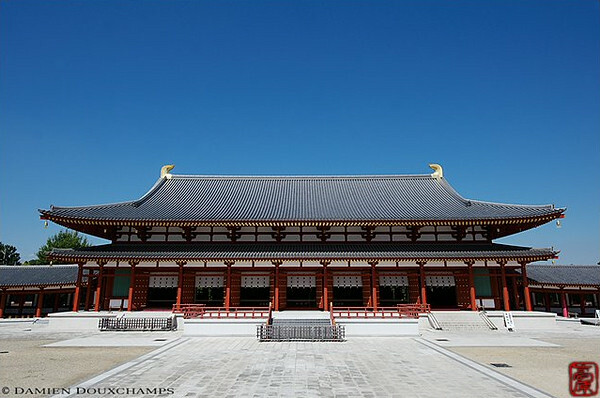 Home of the famous Daibutsu (Great Buddha), Todai-ji Temple is a must-see for all visitors to Japan. It’s awe-inspiring and moving. 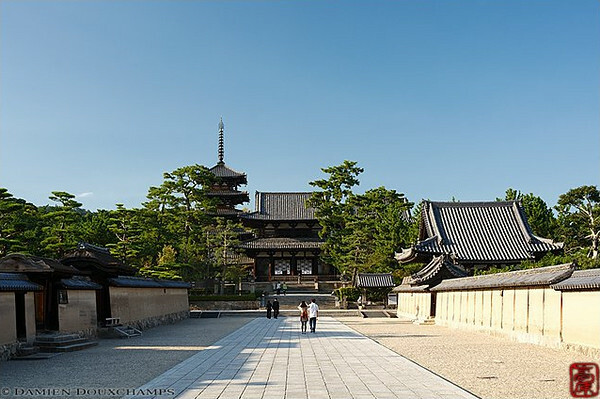 Todai-ji is not just one of Nara’s must-see attractions; it’s one of Japan’s must-see attractions. The focal point of Todai-ji is the Daibutsu-den (Hall of the Great Buddha), which contains the vast grandeur of the Daibutsu, a 16-meter-high Buddha that really does seems to exude some form of spiritual energy. Be sure to check out the Nandai-mon Gate, that lies a few hundred meters east of the Daibutsu-den, and once inside the Daibutsu-den, be sure to circle around the back and check out the pillar with the hole in the middle. Children who can squeeze through it are said to be assured of enlightenment. 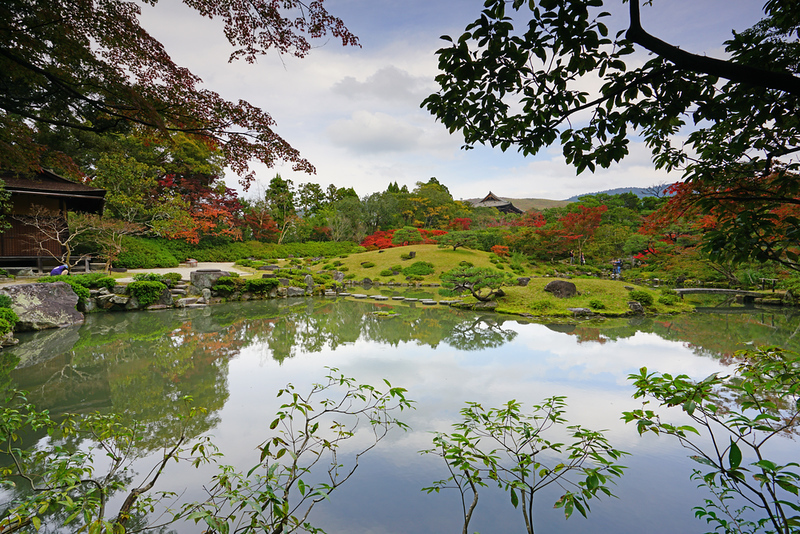 Isui-en Garden is the best garden in Nara and one of my favorite gardens in Kansai (central Japan). It’s a spacious stroll garden with a pond and plenty of blooming flowers and trees. Isui-en is conveniently located on the way from the train stations to Todai-ji Temple (it’s on maps given away by the tourist information offices) and marked by signs near the pedestrian underpasses that run below Noborioji Street (the main street that leads up from the train stations to Nara-koen Park). While it costs Y650 to enter, it’s well worth it. Take some time to stroll the garden (pathways run all the way to the back of the garden). At any time of year, there is usually be something in bloom, and you can marvel at the genius of the garden designer, who employed the technique of shakkei (borrowed scenery) to incorporate the roof of Todai-ji Temple into the background of the garden. To get the most from a visit, I recommend ordering a cup of matcha (powdered green tea) and a sweet (Y500), which you can enjoy while gazing over the garden. 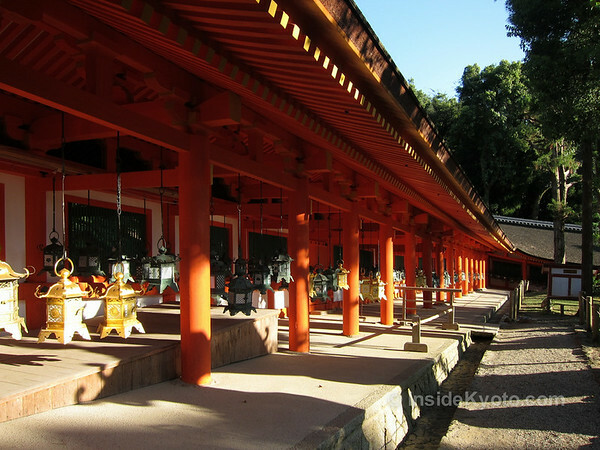 Kasuga-Taisha Shrine is the most important Shinto shrine in Nara. More than just the shrine buildings, Kasuga-Taisha is a mysterious world of forest, pathways, lanterns and wandering deer. After visiting Isui-en Garden and Todai-ji Temple, Kasuga-Taisha is next up to complete any visit to the Nara-koen Park area. While the shrine, like most Shinto shrines, is centered around a honden (main hall) and haiden (worshippers hall), I consider Kasuga-Taisha to be much more than that. The buildings are only the nexus for the mysterious expanse of pathways lined with stone lanterns, smaller sub-shrines, atmospheric forests and, of course, the ever-present deer in search of handouts. Take some time to go into the haiden of Kasuga-Taisha, but don’t neglect to take a leisurely stroll along the surrounding pathways. This is really a very special world unto itself. Nara-koen Park (koen is the Japanese word for park) is the expanse of trees and open spaces that extends east from Downtown Nara and Naramachi, running all the way to the base of the hills that rise east of the city. Nara-koen Park is not so much a sight by itself, but a place that contains many other important sights, including Todai-ji Temple, Isui-en Garden and Kasuga-Taisha Shrine. 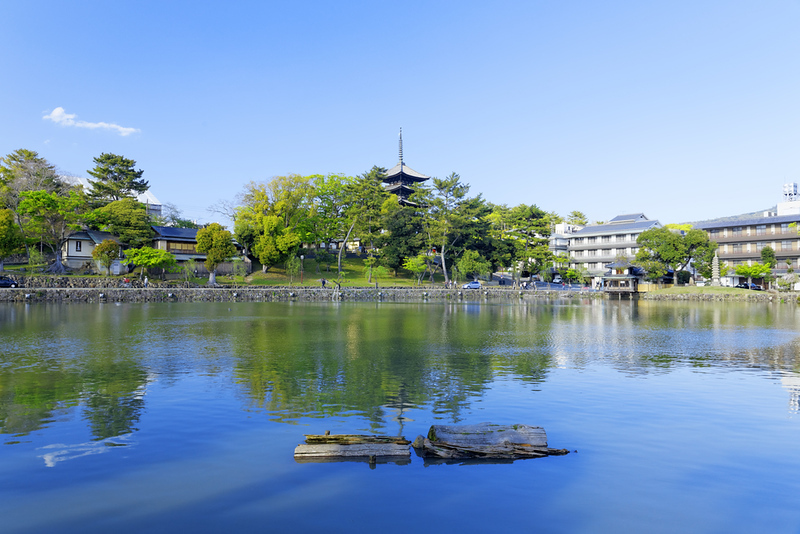 Nara-koen Park is lined with pleasant pathways and dotted with ponds. Undoubtedly, the most interesting feature of the park, especially for children, is the large population of semi-wild deer that roam the park. 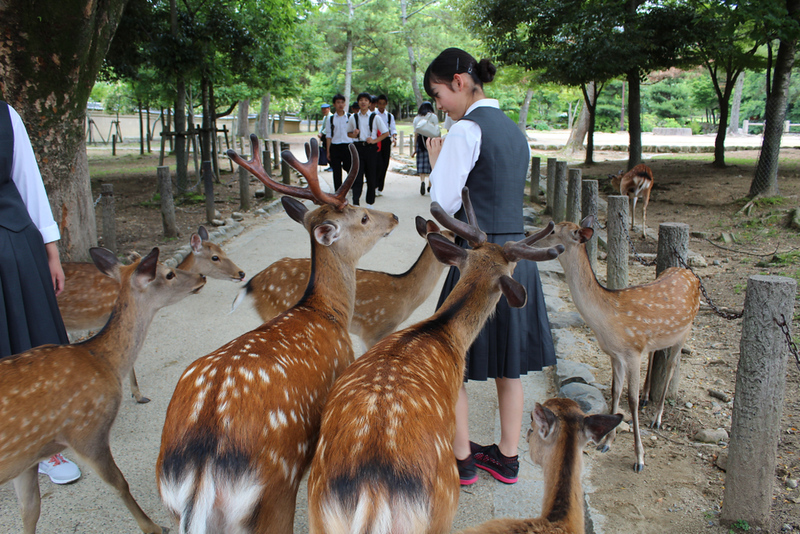 You can buy a pack of deer crackers (shika sembei) to feed them (but note that the deer can be very aggressive in trying to get them out of your hands – so do not give the crackers to very small children). Nigatsu-do Hall is actually one of the halls of Todai-ji Temple, but I cover it separately here because it feels like a separate attraction. It’s best reached by climbing the atmospheric walkway that starts at the northeast corner of Todai-ji’s Daibutsu-den Hall. Nigatsu-do is free to explore and there’s a small rest area on the north side of the hall where you can get free tea to drink (be sure to wash your own cup when you are done). Sangatsu-do Hall lies just to the south of Nigatsu-do Hall. It’s another hall of Todai-ji Temple that feels like a separate attraction. While you can pay to enter Sangatsu-do, it’s probably just as good to simply admire it from the outside as you pass by, heading north to Kasuga-Taisha Shrine. 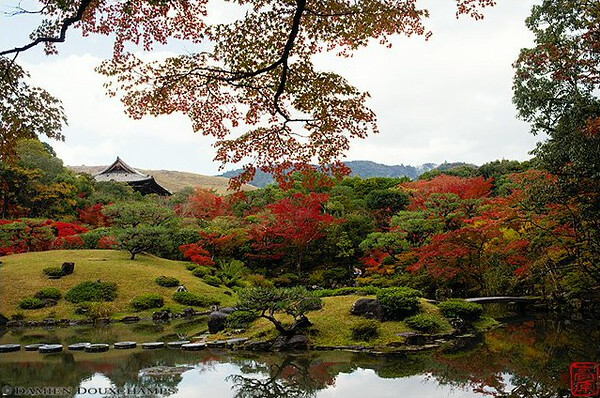 Yoshiki-en Garden is one of Nara’s great little secrets. 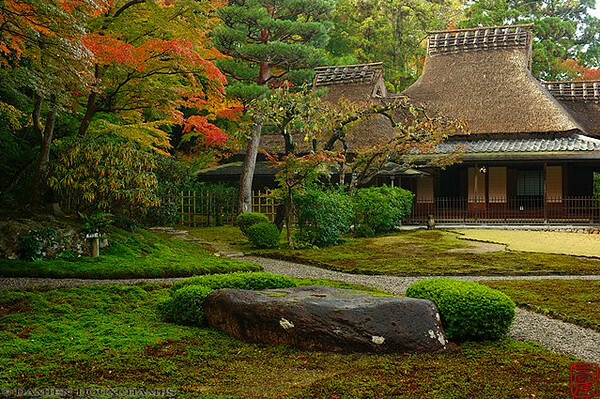 It’s a fine garden with a thatch-roof teahouse that is located directly next to (on the south side of) Isui-en Garden. Not only is this a beautiful garden to stroll around, entry is free for foreign visitors! The maple trees here are spectacular in November. Kofuku-ji Temple is hard to miss: It’s the huge temple compound that contains the towering pagoda that you’ll spot this on your right as you make your way up Noborioji Street on the way to Nara-koen Park. While the treasure hall at Kofuku-ji does contain some interesting Buddhist images, it’s probably enough just to stroll around the open grounds (which you can do for free) and peer at the structures from the outside. Note that one of the main halls here is presently under construction. Naramachi is the traditional district of shops, homes, workshops, restaurants, cafes and ryokan (traditional Japanese inns) that lies to the south of Sanjo-dori Street (basically, it’s the neighborhood east of JR Nara Station and south of Kintetsu Nara Station). 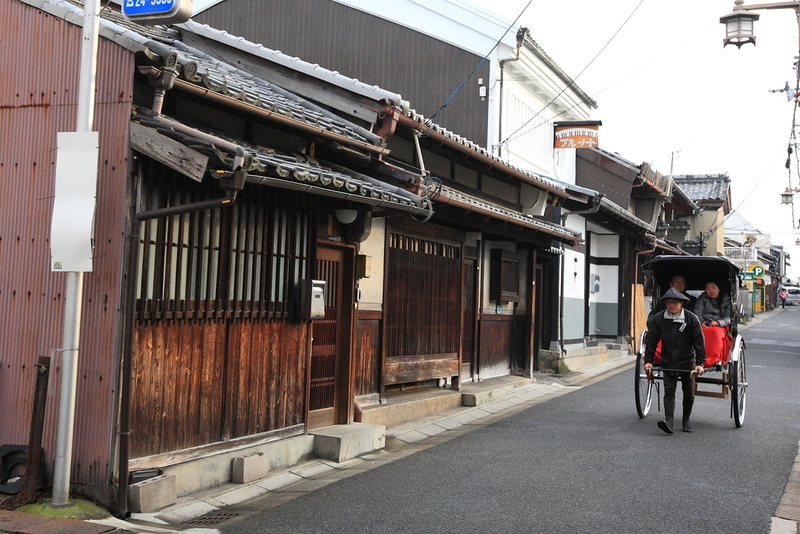 While there are some interesting sights here like Koshi-no-Ie (a traditional house that you can enter), the real fun here is just strolling the old streets admiring the buildings, poking into shops and cafes and imagining what Japan must have been like a hundred or more years ago. 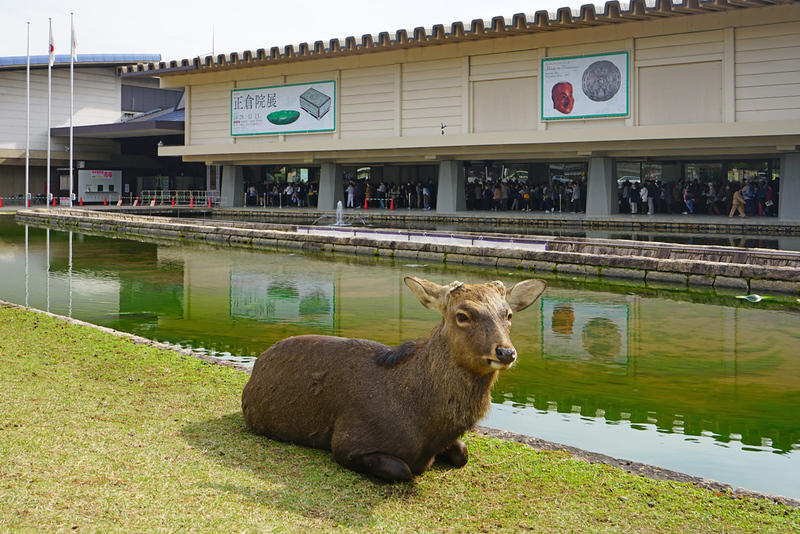 Nara National Museum is located just east of Kofuku-ji Temple, on the west side of Nara-koen Park. It’s divided into two buildings: The older building on the west side is the Nara Butsuzo-kan (Hall of Buddhist Images), which contains the museum’s permanent collection of fine Buddhist images (highly recommended for those with an interest in Buddhism) and the newer building on the east side, where special temporary exhibits are held (ask at the tourist information offices to see what’s on while you are in town). Located in Nishinokyo, about 4km southwest of JR Nara Station, and accessible by bus from downtown Nara (the best way to go) or by Kintetsu Line train (which involves backtracking from Kintetsu Nara Station to Saidaiji Station and switching to a southbound local on the Kintetsu Kashihara Line), Yakushi-ji is one of Nara’s most important temples and home to some of the area’s finest Buddhist images. It’s not a must-see, but it’s great for those with an interest in Buddhism who plan to spend more than one day in Nara. It’s usually paired with a visit to nearby Toshodai-ji Temple (see following). 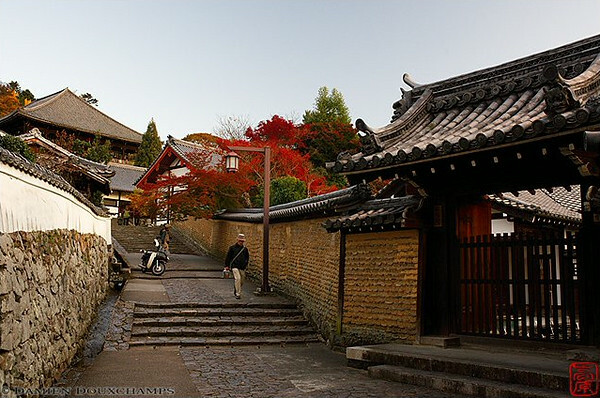 Toshodai-ji Temple is a lovely temple with spacious tree-filled grounds dotted with beautiful traditional buildings. The three Buddhist images in the main hall here are spectacular and should not be missed. For transport directions, see Yakushi-ji Temple, above. 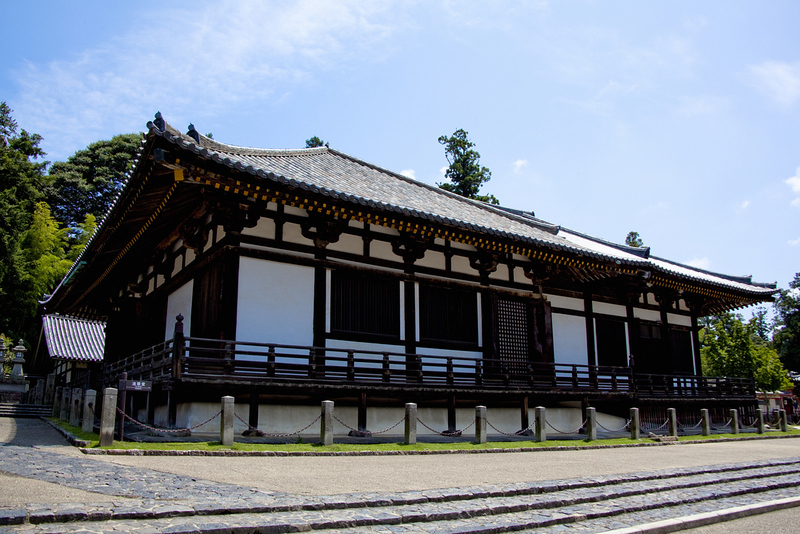 Horyu-ji Temple contains some of the most important Buddhist images in the entire country, as well as some of the oldest wooden buildings on earth. It’s a vast compound of temple structures and a museum. Because it’s located a relatively long way from downtown Nara and it’s surrounded by some really drab suburbs, I usually only recommend this temple for those with a serious interest either in Buddhism or Japanese history. It can be reached by bus or bus-and-train combination from downtown Nara.